This blog contains a unique focus: We're purposefully not going to discuss the core use case for XRP in this blog entry; banks and financial institutions will use XRP to move value across borders - and that's why XRP was created! In addition to its banking applications, however, XRP investors are also interested in retail use cases for XRP. After all, in addition to being the most flexible, cryptographically-secured asset in the world, XRP is also a crypto-currency. It can serve as a store of value like any other. That means all of the use cases that we've come to expect from Bitcoin are also available to XRP. Not only that, it's a much better store of value because of its performance metrics. Transactions can be processed with blazing speed - all payments settle in less than four seconds,1 no matter what part of the world you're in, or if you have to convert currencies to do it. Let's start by widening our lens out to the entire crypto landscape. I keep learning about amazing new developments each day in the crypto universe; mainstream adoption is starting to edge its way across the world's radar screen. XRP investors have a lot to be excited about in the coming months. We'll get to those, but first let's cover some developments that you might not know about already. This specification standardizes an API to allow merchants (i.e. web sites selling physical or digital goods) to utilize one or more payment methods with minimal integration. User agents (e.g., browsers) facilitate the payment flow between merchant and user. Before you jump to the conclusion that these corporations will know your private keys, keep in mind that no code has been written yet to integrate with these browser APIs - and they are generic in nature; any payment source can be used, including a debit card, a credit card... or something else! The generic nature of the API is what is so exciting to developers. "This is a great opportunity for people to start writing blockchain-based payment method descriptions and to try to test the API. That's sort of the period that we're in, the test and interoperability development phase." This means that all crypto payment choices can potentially benefit - including XRP! Adrian Hope-Bailie, from Ripple, has been working with the W3C group for multiple years, and issued a warning that the new standard is not set in stone, and that to support crypto appropriately it will need the feedback and support of the blockchain development community. He talks about these challenges further in his own blog on Medium. For those of you that already knew about coinpayments, kudos; but for me, it was a breakthrough moment when I realized that now I had a new opportunity to tell those people in my close circle that own XRP, that there is a way to use their stash besides as an investment. 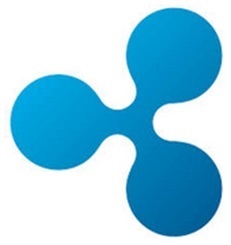 Now lets switch gears; have you ever looked at your own XRP wallet and wondered, maybe a little voyeuristic, about how much XRP other people have purchased? (Or received, if they're lucky enough) Well, recently some XRP developers ran an algorithm 5 to survey the XRP Ledger and retrieve that information. Although we don't have any names to go with these wallets, it's fun to imagine whose they might be. Are you part of the exclusive XRP "one-percent?" To qualify as a member of this category, the XRP owner must own more than 201,553 XRP. At today's 6 XRP rates, that amounts to approximately $37,500 roughly. If you are not in the "one percent" club, don't feel bad - you have a lot of company! 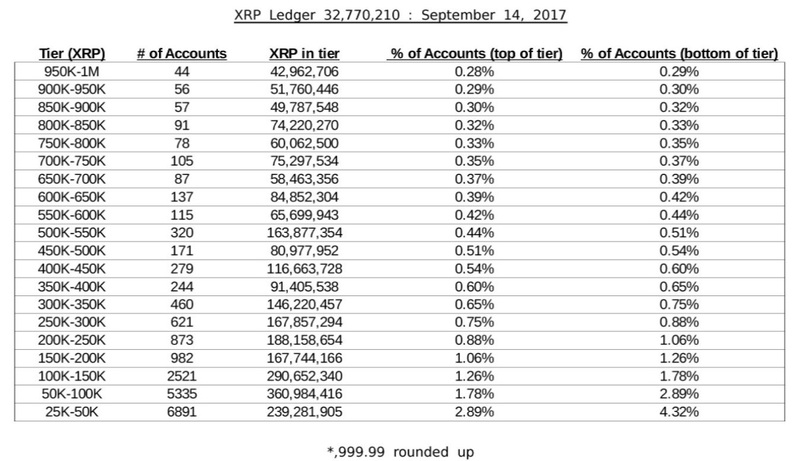 Most ordinary crypto investors are holding sums of XRP between 0 and 100,000. These wallets are clearly serving as a hedge against other crypto investments, and allow owners to share in the success of XRP. I know where my own wallet stands in relation to these lists, and I wish it ranked much higher! Setting aside personal jealousy, the reason I threw these numbers out is to demonstrate the sheer number of wallets and how they're being used. I reported a "total wallets" number in the comparison to Ethereum and Bitcoin in my prior comparative blog, but keep in mind that when a user creates an XRP wallet, they are making a personal commitment - it takes XRP to establish a wallet on the network - this is one way that the XRP Ledger cuts down on spam wallets and accounts; it's a feature not offered by Bitcoin or Ethereum. We'll keep these wallet distribution numbers in mind as we move forward into late September and early October. Speaking of October, we should probably do another checkpoint like this after the SWELL conference! What does XRP have that no other crypto-currency has? 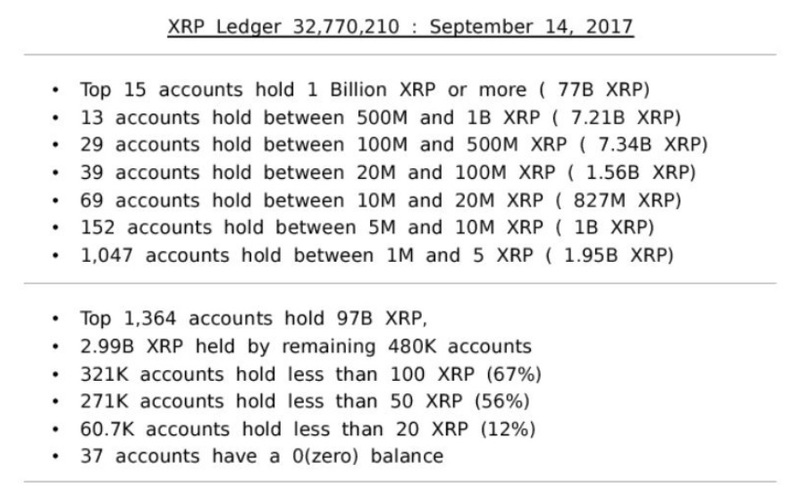 For a detailed comparison of XRP to Bitcoin and Ethereum, I'll refer you to my detailed comparison blog here. 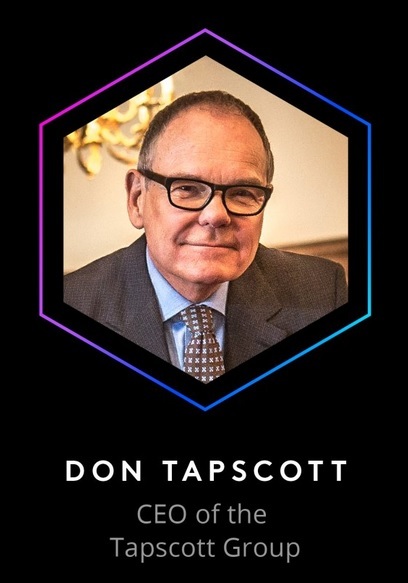 Don Tapscott is one of the most influential management writers in the world, and the author of Blockchain Revolution: How the Technology Underlying Bitcoin is Changing Business, Money and the World. The SWELL conference serves to mark Ripple's stake in the banking sector in dramatic fashion, and it will do well to take another look at XRP retail adoption progress after the conference completes, to see just how much the ecosystem has expanded as a result of the wide media coverage that SWELL will generate. The XRP lockup is happening as well, "by the end of 2017" according to Ripple,11 and that event will also generate a significant amount of market buzz, as Banks and FIs - as well as private investment funds - will be forced to go to the same retail XRP markets where "ordinary" XRP investors are waiting. With the spotlight so firmly on XRP, the next wave of crypto adoption will sweep many newcomers into the "swelling" XRP family!